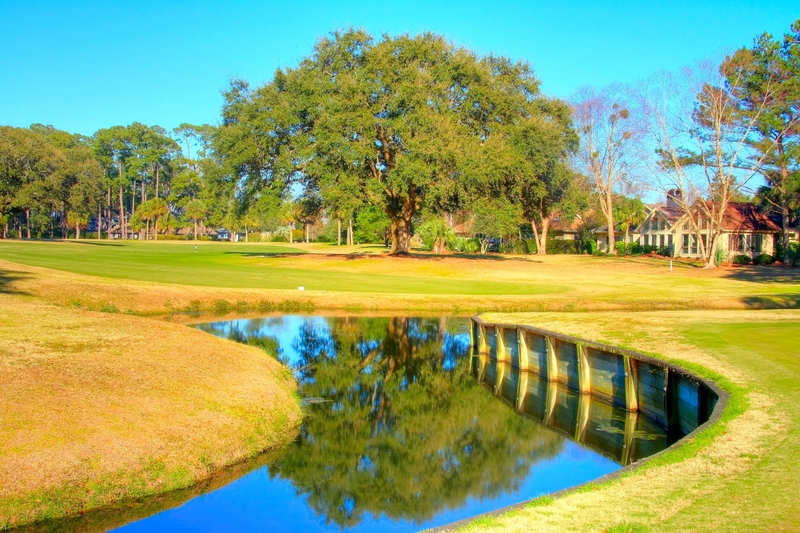 Moss Creek Plantation is a private residential golf community offering a delightfully relaxed, non-congested and very special Island atmosphere. Created in 1975, Moss Creek encompasses 1,042 acres with 1,050 total residences and is complete with two championship golf courses, tennis facilities, and deep water marina. Moss Creek Plantation real estate falls in the moderate to upper price tier for homes and POA fees. Home sites within Moss Creek include wooded views, marsh views, golf views, and lagoon views. There are 1,044 home sites in this plantation of 1,068 acres. Clusters of single-story villas are available as well as million dollar estates – with a wide range of options in between. Tennis – There are seven clay courts in the newly designed Moss Creek Racquet Club. Two are lighted. Swimming – waterfront pool at the marina. Marina – Deepwater dockage and boat ramp access to Intracoastal Waterway. Fishing – lagoon, creek, and deepwater. Equestrian – privately owned stable. Biking – miles of biking and walking trails throughout. There are two private courses and membership is included with your property. Tom Fazio, one of the eminent golf course designers in America, planned Devil’s Elbow South early in his career in 1970 and returned to do Devil’s Elbow North in 1979. The South Course played host to an annual tournament on the LPGA Tour from 1976 to 1985. In 1996 both courses underwent extensive renovation.